I have worked as a Legal Assistant in a legal office for over ten years and love the work! 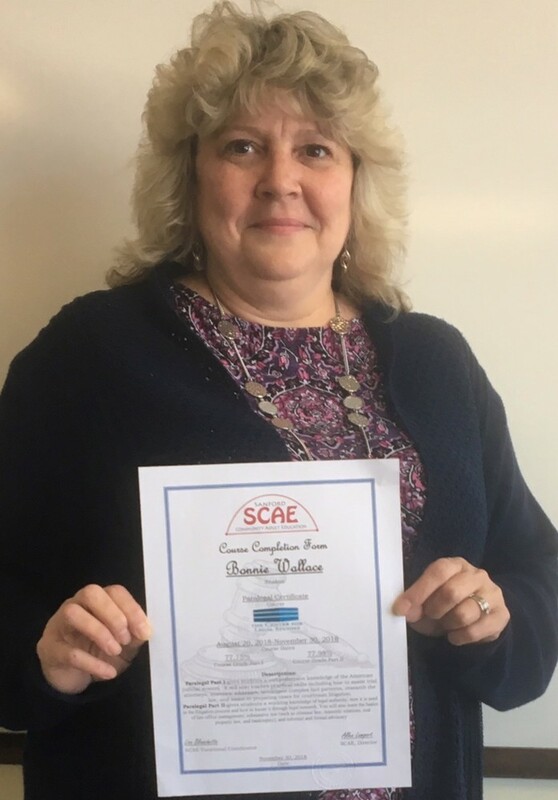 I wanted to become more valuable to my employer, so when I found SCAE’s Paralegal Certificate program, I knew I needed to get into that program! The work was very challenging, and so comprehensive. I worked my tail off! The instructor let us know that if we had successfully completed the program and were interested in becoming lawyers, we should be confident in applying to law school as the work we’d been doing was second- and third-year law school material. Thanks SCAE and CLS for helping me accomplish my goal!